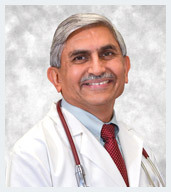 Dr. Bhupendra R. Patel graduated from Seton Hall University, NJ as a biology major and then earned his MD in 1987. He completed his residency in internal medicine at St. Joseph Hospital, Chicago, IL. He has since earned many continuing education credits in the field of medicine and kept himself up-to-date with the latest research and innovation. 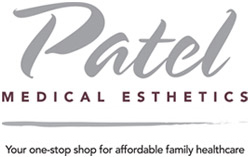 Dr. Patel’s strong interest in medical aesthetics and skin care led him to establish a laser clinic where he treats patients with permanent hair removal, spider veins treatment, laser skin rejuvenation and acne facial treatment. With his extraordinary compassion, he has won blessings from many patients. His fluency in Spanish and a genuine desire to help his patients has made him known as a “Medico Hispano.” Dr. Patel is also fluent in English, Hindi and Gujarati. Dr. Patel provides primary care and urgent care and is admired by patients for his excellent listening skills. He and his staff also help patients make necessary connections with other specialists and providers as needed. He believes in preventive medicine and advocates a healthy lifestyle. He is committed to quality medicine in a caring manner. He caters to patients’ individual needs using the latest technology and takes time to explain patients’ conditions and treatment options. Dr. Patel is affiliated with Gottlieb (Loyola) Hospital, Westlake (Resurrection) Hospital and Alexian Brothers Hospital. Dr. Patel also agrees that we need affordable healthcare and he volunteers his services at a local temple for those who cannot afford care.